There’s no denying that high ceilings can add drama to a room or make the entire space feel more open and airy. However, not every home was built with high ceilings. For instance, many older homes have low, flat ceilings that can cause residents to feel claustrophobic. 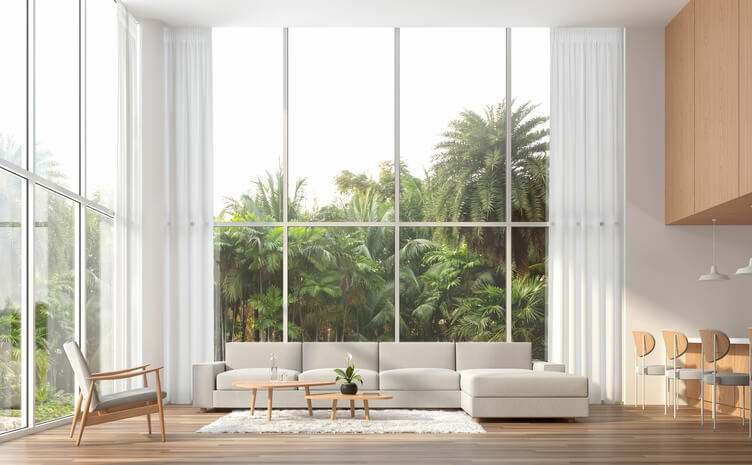 If you find yourself dreaming of high ceilings or researching roof-raising contractors, we’re here to help. Here are some guidelines for how to raise the roof at home and what you need to know beforehand. If raising the roof isn’t in the cards for your home just yet, we’ve also got some of the best tricks for opening up a room. What if I Just Want to Raise Ceiling Height? 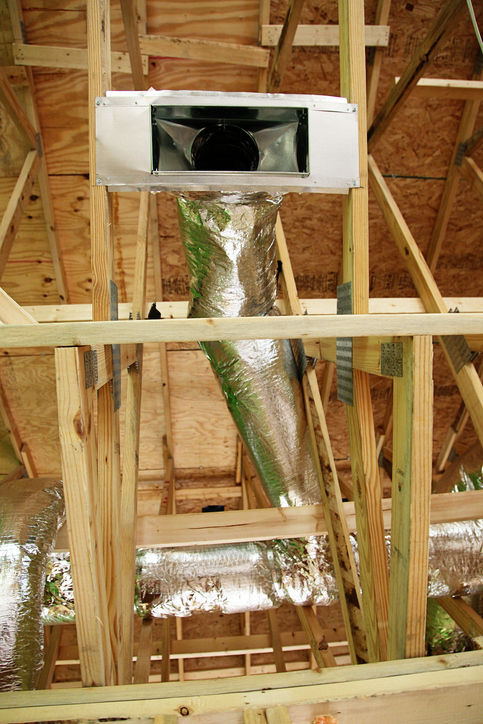 Raising the Roof on a House: What Happens to HVAC? The very first step in raising your roof is to determine whether or not it’s actually possible. If you have an attic, then there is a high probability you can raise the ceiling in the room beneath it. If you don’t have an attic, check the plans to your home to find out about your roof—specifically your roof structure. Generally, there are two types of roof structures: stick and truss. Truss roofs are the ones that are easier (and most commonly) raised. You can still raise stick roofs, but it will most likely require you to tear down the existing roof and rebuild the structure. You’ll need a building permit if you plan to raise ceiling height in your home, especially if you will also be modifying your roof-line. Contact the residential permit department in your area to find out more about requesting a permit. If you choose to hire a roof contractor, they will pull the permit for you. Failure to obtain the right permit for the job before you start may seem like you’re saving time and money, but it’s an unwise choice. Not having the proper permits if something goes wrong or if you try to sell your home will just cause a bigger headache in the end. Trust us on this, get your permit before you start working on your roof! If you want to just raise your ceiling, you will still need to pull the appropriate permit from your city government. In most cases, raising the ceiling means your home will now boast vaulted ceilings! But it’s more than just tearing down your old ceiling. Your contractor will work with structural engineers to ensure that your ceiling and roof are still strong enough to support your home and keep you protected from the elements. Depending on your home’s structure, they may still have to strip your ceiling to the studs and rebuild from there—as they would if they had to rebuild your roof—or they may just have to add load-bearing walls after they demolish the old ceiling to create the vaulted ceilings. When a roof or ceiling is raised, there is a strong chance your HVAC system—not to mention your electrical system—will be impacted, especially if you have central heating and air conditioning. Working with electrical and HVAC systems is the biggest argument for hiring a contractor to work on this renovation project. A contractor will keep you from being injured and will also make sure your home is safe. If your higher ceilings go into your attic space, depending on how high it goes, the HVAC systems will have to be moved. This can be relatively simple to do if the attic is large or the ceilings are not raised dramatically. But regardless of how high the new ceilings are, ventilation will have to be re-routed through the new air ducts. If you have met with a contractor and you find that your home is not the best candidate for having the ceiling raised, or if the renovation is cost-prohibitive, there are still options for you. Raising the roof may not be an option anymore—unless you’re on the dance floor—but you can still work with your low ceiling. Since you have your home’s blueprints accessible, take a look to see if there are any beams hiding in your ceiling. Exposed beams or planks are a popular way to make the best of low-ceiling-ed rooms, especially if you live in a historic home. Take advantage of the structure—or bones—of your home. You can also change other elements in your home to open up the space instantly. 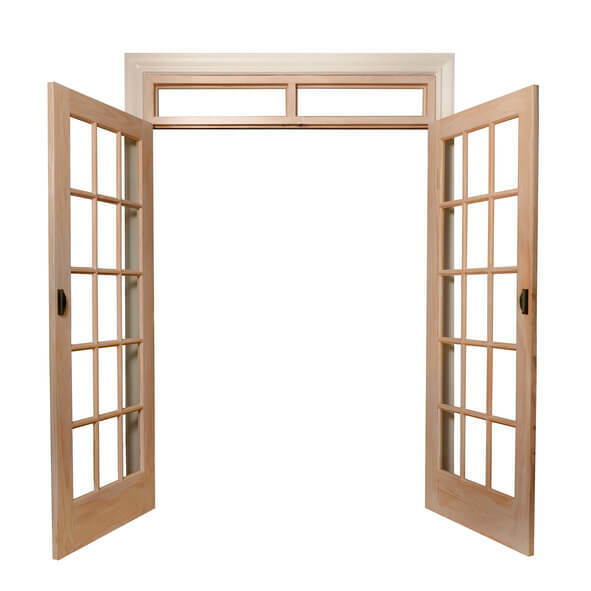 Adding a French exterior door in place of a wall will create a visual interest and brighten up the space immediately. For privacy, install a pull-down shutter and cover the windows to the doors at night. Another trick to create the feeling of space within a room is to use light paint colors. Bright whites or grays are popular colors, and to keep it interesting you can try out different finishes like high-gloss or matte options. Have you had experience with raising the roof or a ceiling in your home? Share your experiences with us in the comments below!